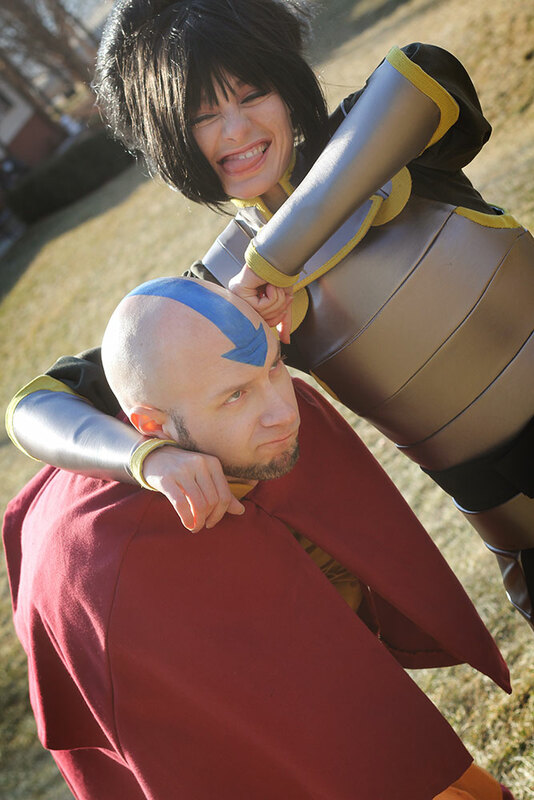 I say it with each cosplay from this series, Avatar the Last Airbender is awesome. Watch it! Of Team Avatar, Toph has always been my favorite, but I’m a little old to pull off a 12 year old. 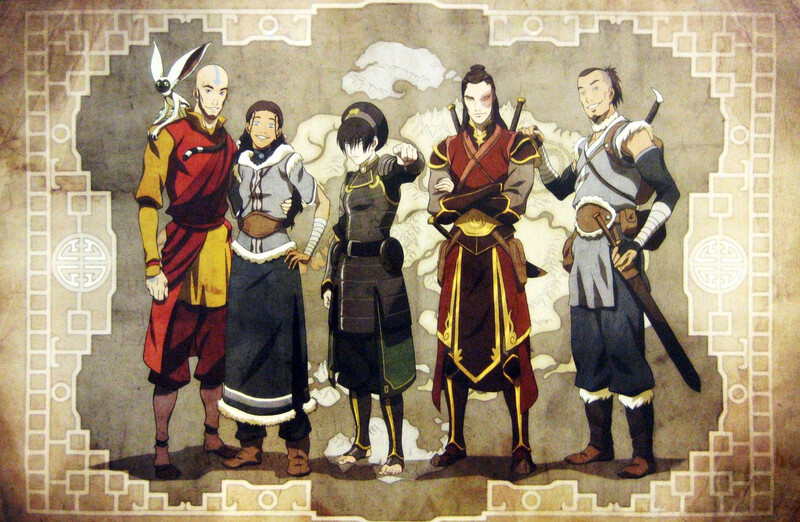 I knew it was time to cosplay Toph with the release of the ‘Old Friends’ artwork showing Team Avatar as adults. And Toph in metal bending gear is awesome. Construction of the armor was a process; one that was unfortunately rushed and parts need to be remade. :/ I used a fitted dress to draw the horizontal lines on and then cut to be a pattern. I discovered a great gunmetal vinyl when making SoR silver variant Blaze, and decided to make it out of that, but then insert sintra into each fabric strip. 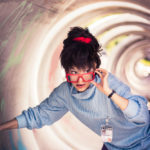 It was a process of multiple trial and errors, but the theory is sound. 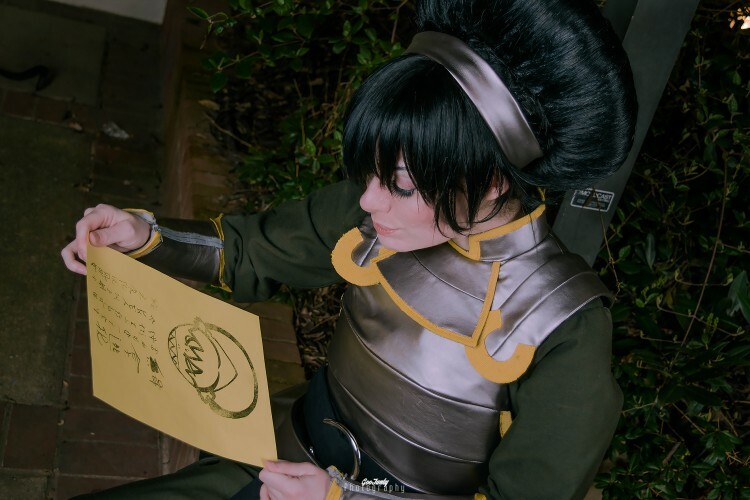 I had only worn Toph once at Katsu and swore I’d remake 50% of it next time I wore it. Well as usual I had 100 things on my plate and never got around to it. I had a blast at Zenkaikon and was gifted with the best prop ever! A vendor in the dealer’s hall gave me the Toph poster! I posed with it in every hall picture after that! It was upside-down of course, cause you know, blind.